Shelia Kuhn combines three certifications in her practice: she is a Somatic Experiencing Practitioner®, a Certified Nutritionist® and a Certified Exercise Specialist. 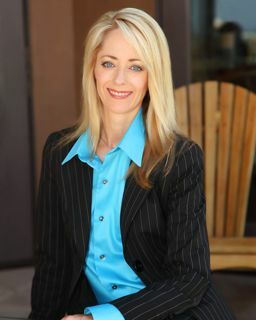 In her former professional career, Shelia was the COO and investor of a privately held company, and knows first-hand the stress and pressure of a busy career, and the challenges of performing optimally while dealing with the physical symptoms of ongoing, unresolved stress issues. Because of her own challenges with stress in the corporate world, and successfully moving through them using Somatic Experiencing, Shelia has a strong desire to use her training to heal others, and to help them achieve the life/work balance they long for. There is a very complex relationship between stress, diet and other factors, including social pressures and environmental issues. Shelia’s background in nutrition enhances her Somatic Experience® training, and allows her to assist people in many different ways, including those who may be using food as a coping mechanism. Shelia also focuses on helping children and teens cope with the pressures of our modern world; including issues such as the recent epidemic of bullying, both physically and online; scholastic aptitude and college entrance exams; peer pressure; weight and image; sexual activity and substance abuse. Please feel free to contact her for a complimentary 15-minute phone consultation before booking an appointment for yourself or your child. Please call 949-400-5951.